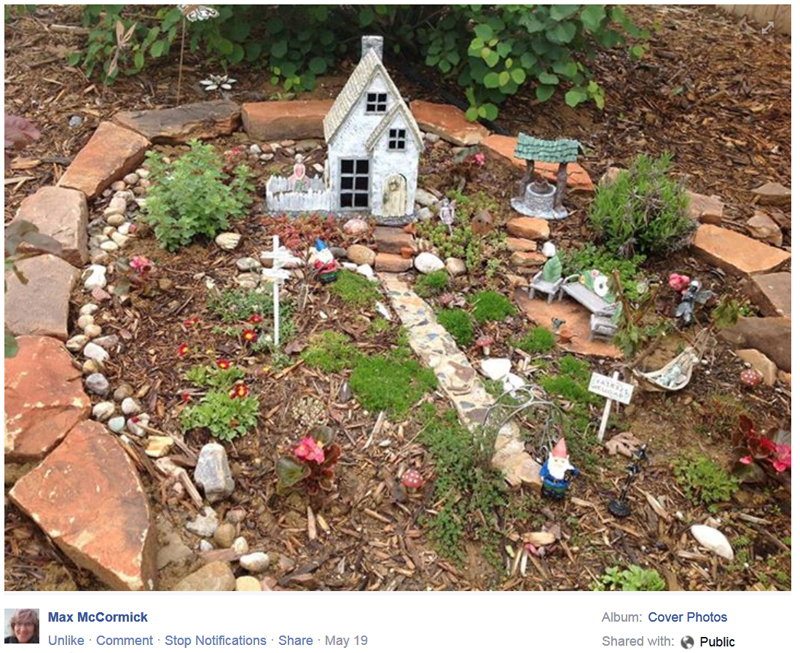 “My fairy garden has been a work in progress. I started it 4years ago. Every year I get a new idea and the garden expands. It’s fun to make new items for it. Last year was the hammock, next is a footbridge!”.